Teaching your son how to catch a baseball or showing your daughter how to kick the ball into the net is one of the most exciting parts of parenthood. Watching your children slowly pick up and understand a new skill and put it into competitive use is a milestone for both parents and children. However, there is a lot of debate as to when is the right time for children to begin competing in organized sports. Today, Valley Learning Centers wants to discuss the pros and cons of starting your children in the world of competitive sports earlier rather than later in life and what they can take from them. As we’ve already said, there is some debate on when exactly a child should begin participating in competitive sports. Many experts and studies claim that children should not start focusing on the contestant side of sports until around ages six to eight. This is attributed to their mental states, suggesting that kids are not ready for the competitive nature, able to fully understand the rules, or coordinate all of a sport’s physicality into fluid movements. The worry comes from children not being ready to separate the fun from the competition, as well as not being ready for teamwork, passing the ball, or listening to the coach. 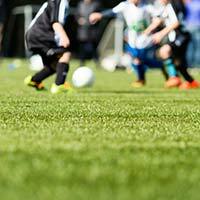 While children may not be fully prepared for the intricacies of a full rulebook, they can gain so many benefits from team sports, it’s difficult to argue against them starting young. The contrasting opinion to those who suggest waiting on team sports, as we are pushing here, suggests that the social and physical benefits alone are worth the time and energy. Children who start team sports early, even around four years old, will experience working with contemporaries in a social setting for what is probably the first time. All those times you’ve made sure your kiddo shares their toys with friends will be important when it comes to team sports. The team environment will magnify the need to cooperate and work together, which is a great way to build on the virtue of sharing. It also jumpstarts the need to work with other people. Early team sport participation for your youngsters not only promotes teamwork, but also exposes them to physical activity early on. Encouraging your children to take part in a sport will help them to keep fitness and health on their mind in some capacity from a young age, which can be important in creating good life habits. A healthy lifestyle means that a child’s health can continue long after they have flown from the nest. No one succeeds at anything in life without a little bit of practice. The earlier a child is exposed to the idea that practice makes perfect, the less likely they will be deterred by something for which they need to work. Practice will help kids understand they have to eventually earn the right to play in a game rather than just walking on the field. Team sports and a community culture are great for young children to understand at an early age. 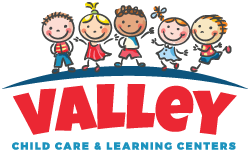 When they aren’t playing sports, let your children hang out with the great teams at Valley Learning Centers. 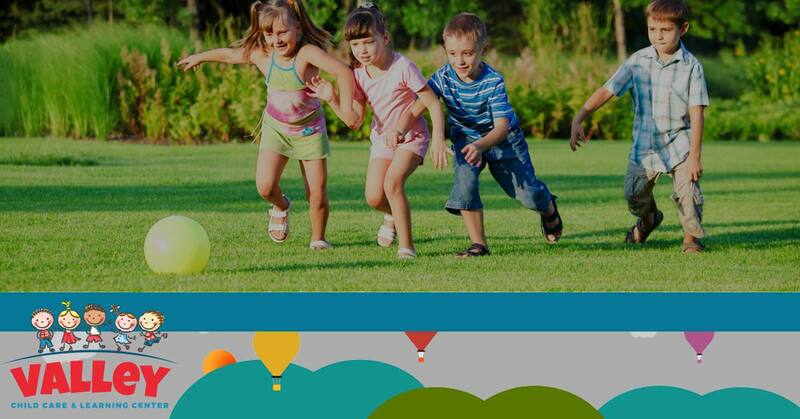 We have ten locations in the Phoenix area, so you’ll never be without a quality day care and preschool facility. Stop by today and see why our facilities are the best around!